Yes, I have to tell you that this is a Pod Kit with a mesh coil. Innokin is a familiar name in the world of electronic cigarettes and a brand that novices like to choose. Most of its products have extraordinary vaping performance and simple use. So what I want to share with you today is the EQ Starter Kit from Innokin. What is Innokin EQ Starter Kit? This is a Pod Starter Kit with a mesh coil as the engine. The surface of EQ is covered with a large amount of rubber coating, which looks cuter and has a smooth touch. 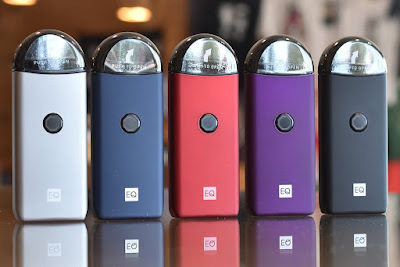 Innokin offers us five optional colors, Purple, Red, Blue, Grey, and Black. As I said earlier, this is a device that uses a mesh coil, so what about its vaping performance? The EQ Kit comes with a 0.5-ohm coil, and I would recommend using high-nicotine e-juice. The 0.5-ohm coil will be lower than the common MTL coil resistance, so the vapor production capacity and temperature will be slightly stronger. If we use slat-nico it is easy to cause throat and lung damage. With high-nicotine, it not only achieves an excellent atomization effect but also makes the temperature and nicotine experience more comfortable. Its compact size makes it easy for us to carry around, and the 800mAh built-in battery makes us more comfortable. 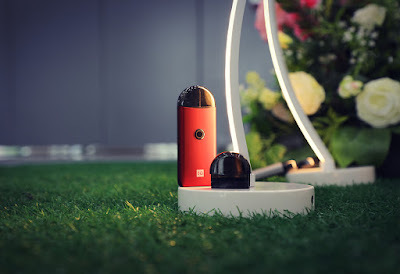 So do you like this pod kit?